For the layperson, sidelites can be a nebulous fixture. They’re usually offered as an afterthought, often as “side windows”, merely part of a matching set with doors and moulding. However, sidelites are more than just door-dressing; they offer concrete benefits that make them a notable addition to any entrance. When deciding upon sidelites it is important to consider how they affect home security, both positively and negatively. Naturally, if simply installed without proper consideration these windows also offer a greater view of the interior of the home. This is a common security concern with a simple solution. No windows should ever be installed without considering security, and sidelites are no different. The responsible homeowner dresses the interior of the sidelite in such a way that allows light in and keeps peering eyes out. Specially-sized curtains, shutters, and other solutions are available to reduce or eliminate the ability to view the interior of the home from outside. Sidelites provide an un-distorted and more complete view of the outside world. This can bring a greater sense of security than the unsettling experience of looking through peephole. 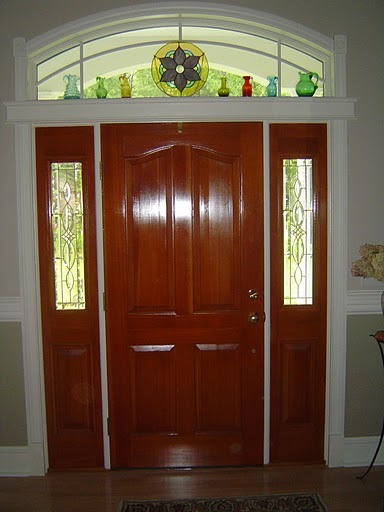 This also frees up a prime location on the door itself at eye level which can be used for other fixtures such as door-knockers, doorbells, and stained glass. Some homeowners also use the interior side of the window to display signage which is otherwise at risk of theft or mischief such as security notices and “Beware of Dog” signs. True security is built through careful consideration and optimization of every aspect of interior and exterior design. When homeowners take care to properly install sidelites as an important part of the entryway they enhance the beauty and security of their home. Bio: ETO Doors is a custom door manufacturer with a wide array of doors available for purchase online. ETO Doors also has showrooms in Los Angeles, Las Vegas, and New York. Many doors also have options to choose from such as solid wood or hand-carving. Visit the ETO Doors website to browse doors and read ETO Doors reviews today.